ROBOTUNION will discover, support and fund 20 European Superstar Scaleups confirmed by top VC investors and global corporates of 4 new market domains for robotics: manufacturing, agriculture, healthcare and civil infrastructure. 40 companies developing research will be selected out of a pan-European deal flow of 300 Scaleups through 2 Open Calls. The top 20 will join an acceleration programme that will help them progress from TRL4 to TRL7 onwards. This 6 to 12-months programme will provide them with technical and non-technical support services. RobMoSys will coordinate the whole community’s best and consorted effort to build an open and sustainable, agile and multi-domain European robotics software ecosystem. RobMoSys envisions an integration approach built on-top-of, or rather around, the current code-centric robotic platforms, by means of the systematic application of model-driven methods and tools that explicitly focus on (system-of-) system integration. As proven in many other engineering domains, model-driven approaches are the most suitable approach to manage integration that is intended to be “all-inclusive” with respect to technologies and stakeholder groups. ECHORD was established in order to promote innovation by facilitating the cooperation between academia and industry. ECHORD++ will further stimulate this interaction between robot manufacturers, researchers and users. 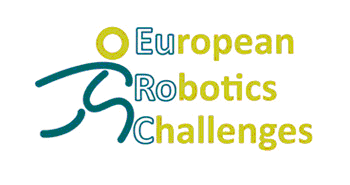 This goal will be achieved by implementing three different instruments: the Experiments, Public end-user Driven Technological Innovation (PDTI) and the Robotics Innovation Facilities (RIF). I4MS is the initiative promoted by the EC to support the European leadership in manufacturing through the adoption of ICT technologies. In fact, Europe's competiveness in that sector depends on its capacity to deliver highly innovative products, where the innovation often originates from advances in ICT. Therefore, I4MS aims at promoting leading edge technologies, developed in FP7 large ICT projects, in the areas of Robotics, HPC cloud based simulation services, Laser based applications, Intelligent sensor-based equipment. The initiative is dedicated to the whole European manufacturing industry with special focus on SMEs to address their needs to access to technology, infrastructures and new markets. It aims at sharpening the focus of European manufacturing through a number of application experiments, while adopting an innovative approach which ensures comparative performance evaluation. Each challenge is launched via an open call. The mission of Pathfinder is increasing knowledge, and determine the future use and impact of simulation and forecasting technologies in manufacturing. To deliver a roadmap pointing out research priorities leading to the next generation simulation and forecasting technologies. To inform the manufacturing industry on state of the art simulation and forecasting technologies. To favour the creation of a network of experts. Innovation and communication technologies offer a seemingly boundless source of innovation which could deliver exactly what European manufacturing businesses need to produce more agile and flexible, to leverage the benefits of context-aware enterprises, ease interoperability, and operate more sustainable. However, the potential of ICT in manufacturing is far from being fully exploited. Among the most important enablers for ICT in manufacturing are suitable IT architectures. IT architecture specifies the structure of an IT system, i.e. the arrangement of IT components within such a system. Doing so, it defines how functional components (services) are integrated to the overall system, what interfaces have to look like, which basic services will be provided, etc. This implies most importantly that the IT services – that is, any function of the system – can only be provided if enabled by the architecture. Thus, the architecture determines the capabilities of the system – providing the basis for a powerful manufacturing system, or limiting it strictly. Towards making ICT a commodity and an enabler for innovation in the manufacturing industry, employing the right IT architecture and IT services is thus of fundamental importance. The central product of the Road4FAME project is a strategic research and innovation roadmap for IT architectures and services in manufacturing. Join us with your expertise in the roadmap development process and become a member of the Road4FAME Experts Group. SAPHARI will perform a fundamental paradigm shift in robot development in the sense that we place the human at the centre of the entire design. The project will take a big step further along the human-centered roadmap by addressing all essential aspects of safe, intuitive physical interaction between humans and complex, human-like robotic systems in a strongly interconnected manner. The fundamental idea behind Robo-Mate is to enhance work conditions for load workers and facilitate repetitive lifting tasks, thereby reducing the incidence of work-place related injury and disease. As a consequence, productivity, flexibility and the quality of production will increase. Bringing this concept to fruition involves merging human-guided manipulators with computer-controlled industrial robots in order to create a human-guided and computer-supported exoskeleton for use in various industries. Exoskeletons can readily be found in certain fields and their development to date has been mainly driven by military and medical applications. However, such models are ill-suited for industrial use due to excessive weight or inadequate functionality, such as not being able to provide the lifting and/or manual handling support indispensable to industrial settings. Therefore, developing an exoskeleton specifically destined for use in industrial environments is crucial.